The Book That Made Me is a celebration of the books that influenced some of the most acclaimed authors from Australia and the world. Inspirational. Affecting. 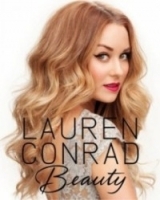 A perfect collection of personal stories for book lovers! 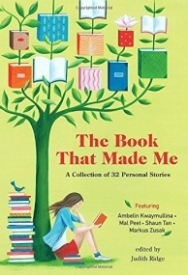 Personal stories by fantastic authors such as Markus Zusak, Jaclyn Moriarty, Shaun Tan, Mal Peet, Ambelin Kwaymullina, Simon French, Fiona Wood, Simmone Howell, Bernard Beckett, Ursula Dubosarsky, Rachael Craw, Sue Lawson, Felicity Castagna, Benjamin Law, Cath Crowley, Kate Constable, James Roy, Alison Croggon, Will Kostakis and Randa Abdel-Fattah. Also features black and white cartoons by Shaun Tan! The Book That Made Me' is an anthology by several authors that tells about a book that influenced their life. 'The Book That Made Me' gives us a chance to look inside the authors' mind and how they first became inspired to write. I am not usually big on anthologies. I'm a cover to cover reader and I don't like to skip stories (even if I don't enjoy them). I find that with most anthologies there are stories/essays I love, a few that are ok, and ones I just don't enjoy. This was the case with the 'The Book That Made Me'. When I started reading I noticed that I only recognized two authors, Markus Zusak author of 'The Book Thief' and Jaclyn Moriarty (whose sister Liane wrote 'Big Little Lies'). After a couple of essays, I realized why. All the authors are either Australian or New Zealanders. Because of this I didn't recognize most of the books that inspired the authors. This left me disconnected from many of the stories. There were several stories that were inspirational and that I really did love. For example, Cathy Cassidy's story about her love of 'Watership Down'. Will Kostakis' story of how not liking 'Hatchet' inspired him to become a writer. Queenie Chan's discovery of the Manga 'Black Jack', and Jacklyn Moriarty's discovery of the Roald Dahl book 'The Magic Finger'. There were a few stories that seemed a little boastful, a few that were a little too simple, and two or three that were entirely off topic. I did love that photo's of the authors when they were young. The sketches in the book seemed out-of-place and like they were inserted into stories where a photo was not provided.